ADA Compliant 8 ft. Y-Base Picnic Table Expanded Metal Thermoplastic Steel, Rectangular, Surface Mount / Portable, 285 lbs. This 8 foot Y-Base ADA compliant picnic table features expanded metal with a thermoplastic finish. The black 2 3/8” tubular legs have a Y-Base design for easy wheelchair access. This portable design conveniently features pre-drilled surface mount holes for stability and resistance to vandalism. 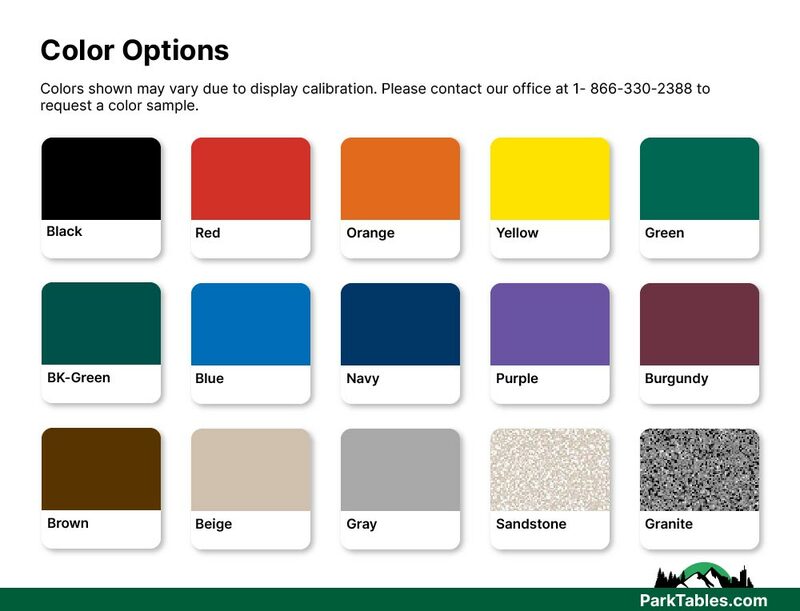 Our ADA compliant picnic tables are designed to provide wheelchair access to the handicap in public areas such as parks, schools, restaurants, and many other venues.